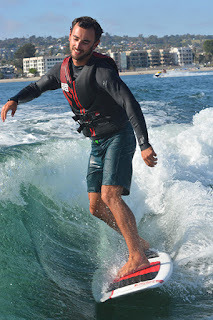 Mission Bay Aquatic Center Blog: Introducing wakesurfing this fall! We are excited to announce that we are now offering ENS 138 Wakesurfing as a college credit class starting this fall! Wakesurfing is a watersport that has risen in popularity as of recent years, and offers a unique, fun way to ride a boat’s wake, aka the perfect endless wave. 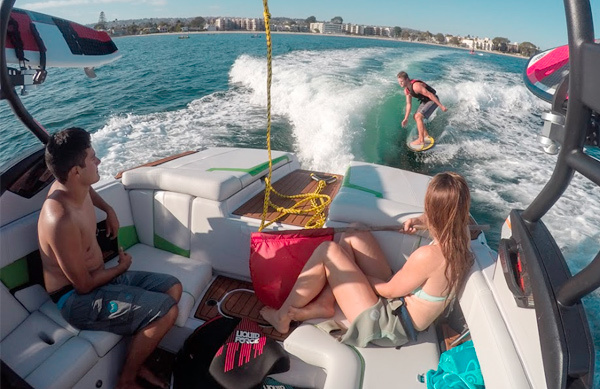 Our new boats include the Nautique Surf System (NSS) where with a push of a button transforms the wake into a carvable face, giving the rider the ability to surf behind the boat without a rope. While SDSU and USD students can receive academic credit for wakesurfing class, these classes are also available to the public. Our wakesurfing ENS class takes place once a week on Mission Bay and is a great opportunity to help you learn and master wakesurfing. There will be classes offered Tuesday through Friday from 2pm to 3:40pm, starting in late August. Visit the college credit classes page to view the schedule and pick your class!